If you handle personal customer data of any kind, paper shredding services in Phoenix is the most secure way to protect both you and your clients. With a growing mountain of private information and the growing threat of identity theft hundreds of companies rely on document shredding services in Phoenix to keep customers safe. Aptera is here to help you understand your shredding options and make sure you are in compliance with the latest laws so you can focus on your business. Security breaches with personally identifiable information are a big enough issue that the government maintains industry specific regulations to protect health, education and financial information. Certified shredding services in Phoenix, Mesa, Chandler, Glendale and Scottsdale are the primary driving force in helping companies comply with the Fair and Accurate Credit Transaction Act of 2003 (also known as FACTA). This act covers a range of areas to protect customers making everyday transactions by placing limits on information sharing, adding more privacy and an updated version of consumer rights. Pitch It - With a certified shredding service in Phoenix schedule regular service and maintain consistency so your employees stick to the routine. 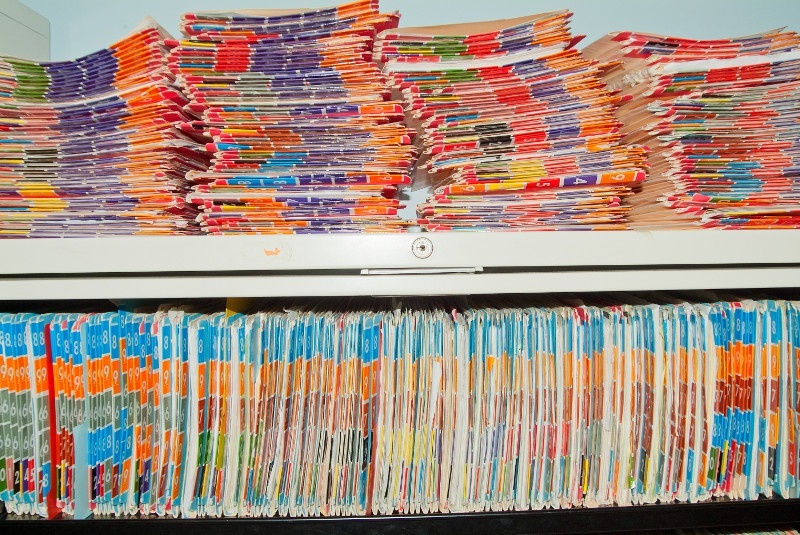 Healthcare practices churn out plenty of patient paperwork making medical records shredding in Phoenix the biggest industry by volume in shredding. ITRC Breach Reports show that 48% of all reported data breaches occurred in the medical industry. Both HIPAA (Health Insurance Portability and Accountability Act) and HITECH (Health Information Technology for Economic and Clinical Health Act) regulates privacy and security protections and your legal liability to manage this information properly. With initial fines as high as $250,000 for neglecting to comply, you need a shredding partner that knows the ins and outs of these rules. There is plenty of incentive for thieves to try to gain access to bank account numbers and any other personally identifiable information putting banks and financial institutions at high-risk of data breaches. The GLBA (Gramm-Leach Bliley Act) governs the handling of financial documents and demands that employees be educated on proper document destruction and your company has a written policy for records management and disposal. Full service paper shredding services in Phoenix include help establishing your companies policies to meet GLBA criteria and ongoing education. Education and non-profit organizations hold documents for several years with vital, highly sensitive information on students and clients. Regulations set forth by both FACTA and FERPA (Family Education Rights and Privacy Act) require all educational and non-profit organizations to protect the confidential information collected. Phoenix shredding services that destroy all trail forms can help schools be comply with regulations and avoid fines that reach $1,000 per student. With two general types of shredding service, on-site and offsite, determining which is best for your business will come down to finding a balance of low cost, high level of security and often logistics issues for companies with many locations or in locations far from the center of Maricopa County. With offsite shredding in Phoenix all of your documents are picked up on a regular schedule and taken to a shredding facility to be shredded. Customers receive a certificate of destruction and most offsite shredding providers are bonded and insured for your protection. Off site shredding service is slightly less expensive and more environmentally friendly as more of the paper is able to be recycled. 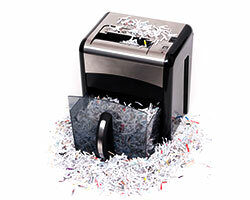 The problem with offsite shredding is that there is higher risk of liability due to the chain of custody being severed. In other words, there are just more potential points of failure when multiple employees are handing off the documents multiple times before they are destroyed. On-site paper shredding in Phoenix significantly reduces the risks involved with transporting important documents from one location to the next by having mobile shredding trucks do the work at your business. You can witness documents being shredded first-hand and there are much fewer hand offs between employees on average. Most paper shredding companies in Phoenix have the ability to shred many types of materials including electronic discs, DVDs, videotapes, hard drives, plastic, and fabric if needed. Different colors and types of paper can generally be combined prior to shredding, but extremely thick stock paper may need to be separated. In addition to education provided by your document shredding service in Phoenix, Mesa, Chandler and Glendale, there are numerous resources available to your corporate security and risk management teams. Three great in-depth resources are provided by SANS, the PTAC and ARMA and they each highlight the complexities involved in managing modern document security. 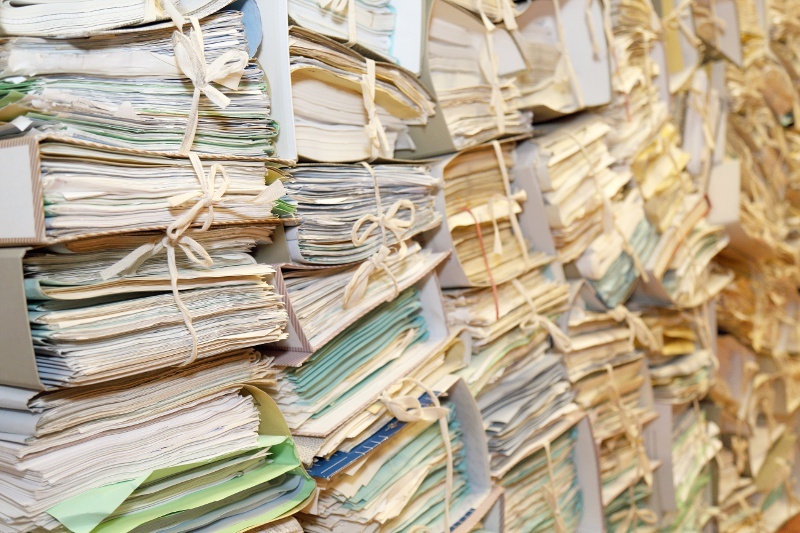 Data and records management services in Maricopa County help archive documents digitally and allow easy retrieval that keeps you compliant with regulations and minimizes chances for litigation. A secure backup of all your company’s important data files protects against crashes and breaches and provides a way for management to oversee data storage. How much time do your employees waste tracking down business records, contracts and documents? Scanning and document imaging services in Phoenix make it easy to access these documents anytime from any computer. To transition to documents to electronic form, most shredding company will pick up and securely transport documents to be scanned in a facility and then store or shred the documents for you. Do you need a way to store thousands of documents but don’t have the space? Many shredding companies offer document storage in Phoenix to safely store boxes of records inside a secure environment. Document retrieval services available that go along with this service. In most cases, the shredding company will pick up and transport the documents that need to be stored and catalog the records so that they will be neat and organized when you need them. Phoenix one time on site paper shredding costs $18, one time off site paper shredding costs $22. Mesa one time on site paper shredding costs $19, one time off site paper shredding costs $23. Chandler one time on site paper shredding costs $18, one time off site paper shredding costs $22. Glendale one time on site paper shredding costs $18, one time off site paper shredding costs $22. Scottsdale one time on site paper shredding costs $18, one time off site paper shredding costs $22. Gilbert one time on site paper shredding costs $17, one time off site paper shredding costs $21. Tempe one time on site paper shredding costs $20, one time off site paper shredding costs $24. Peoria one time on site paper shredding costs $17, one time off site paper shredding costs $21. Surprise one time on site paper shredding costs $21, one time off site paper shredding costs $25. Avondale one time on site paper shredding costs $16, one time off site paper shredding costs $20.